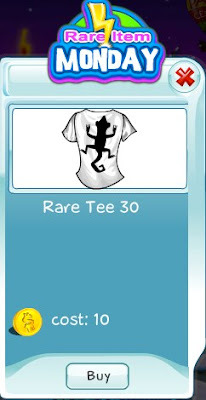 Are you excited to add another rare tee to your collection? The number of rare tee collectors is growing every week! This week's tee features a cool black gecko. Don't miss the chance to get Collector's Tee 30. It is available today only and will be gone soon!